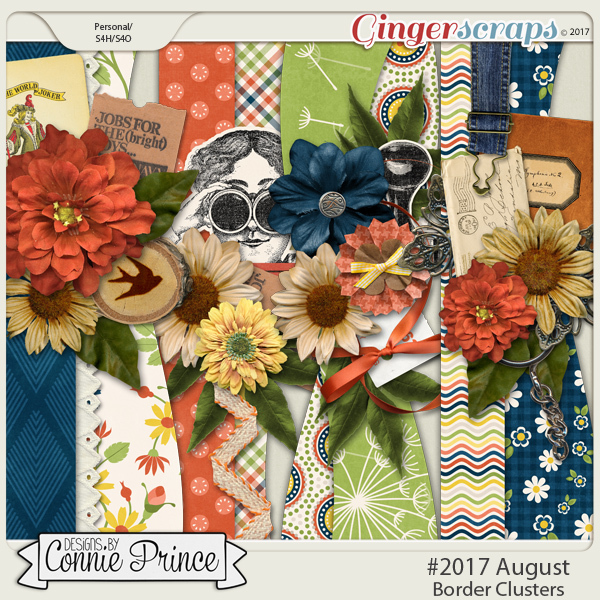 #2017 August - Border Clusters by Connie Prince. Includes 4 border cluster elements, saved in PNG format. Shadows ARE included. Scrap for hire / others ok.